A leg cramp is the painful sensation caused when a muscle involuntarily contracts too hard. This involuntary contraction is called a spasm. It most often occurs in a calf muscle, below and behind a knee. The small muscles of the feet are sometimes affected. A cramp pain typically lasts a few minutes. In some cases it lasts just seconds, but in some cases it lasts up to 10 minutes. The severity of the pain varies. The muscle may remain tender for up to 24 hours after a leg cramp. 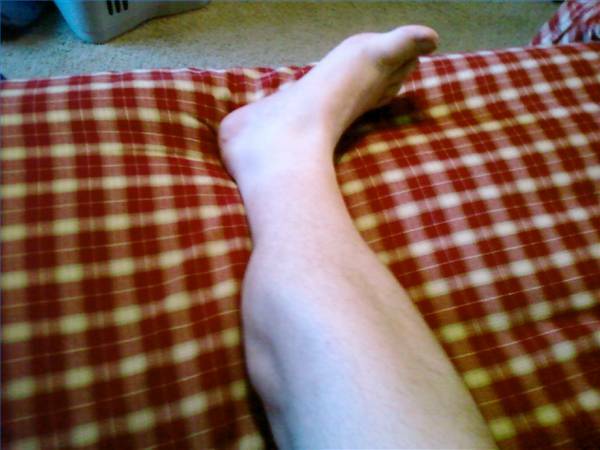 Nocturnal leg cramps usually occur when we are in bed lying flat with our feet partially downward flexed. They can become a distressing condition if our sleep is regularly disturbed. In severe cases this leads to secondary insomnia, sleep deprivation, and impaired function during the day. While many people have an occasional nocturnal leg cramp, they become more common as we age. About 1 in 3 people over the age of 60, and about half of people over the age of 80, have regular leg cramps. About 4 in 10 people who have leg cramps have at least three per week. They occur every day in some people. One theory is that cramps occur when a muscle that is already in a shortened position is stimulated to contract. As the muscle is already shortened, to contract further may cause the muscle to go into spasm. This commonly happens at night in bed as the natural position we lie in is with the knees slightly bent (flexed), and with feet pointing slightly downwards. In this position the calf muscle is relatively shortened and may be prone to cramps. This theory explains why stretching exercises may cure the problem. Some drugs can cause cramps as a side-effect, or make cramps occur more often. These include: diuretics (‘water tablets’), nifedipine, cimetidine, salbutamol, statins, terbutaline, lithium, clofibrate, penicillamine, phenothiazines, and nicotinic acid. Some people who have kidney disease and are on dialysis get leg cramps. and of course, venous insufficiency. Stretching and massaging the affected muscle can usually relieve an attack of cramp. Most cramps soon ease off. Painkillers are not usually helpful as they do not act quickly enough. However, a painkiller such as acetaminophen or ibuprofen may help to ease muscle discomfort and tenderness that sometimes persists for up to 24 hours after a cramp has gone. 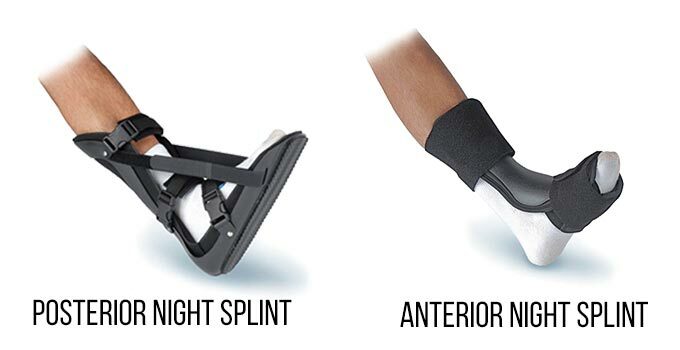 In severe cases, a posterior splint to keep the calf muscle on stretch to keep the calf muscle from stretching might be needed. Scientific (and not so scientific) studies evaluating various medications and supplements advocated for the treatment and prevention of leg cramps have produced mixed and unreliable results. The FDA has banned quinine for the use of nocturnal leg cramps because of many complications with quinine. Potassium Chelate 99 mg at night. An important element in nocturnal night cramps may be dehydration. Alcohol and caffeine can significantly increase dehydration. Drinking enough water daily (8 glasses) may help prevent dehydration. Like many problems in medicine, leg pain can be multifactorial. The Alaska Vein Clinic and Dr. Artwohl will not rush to diagnose every problem as a vein issue, but carefully consider all possibilities and then discuss with you whether all or part of your leg pain can be helped by treating the underlying vein disorder. Poor arterial circulation. These cramps may be caused when the circulation blocked and the arteries cannot increase the oxygen supply for required for muscle activity. Muscle inflammation or muscle aches from cholesterol medication (myositis or myalgia), Bakers cysts, vein problems, either venous thrombosis or venous insufficiency. Numbness, tingling, and “electric” pain, with secondary cramps unrelated to sleep or exercise.